Waffle cones, bread bowls, and taco salads are all delicious proof that food tastes better when served in edible vessels. There’s that textural contrast, plus the bonus of not having any dishes to wash.
We’ve seen bacon bowls before, but they’re all too dainty and small. 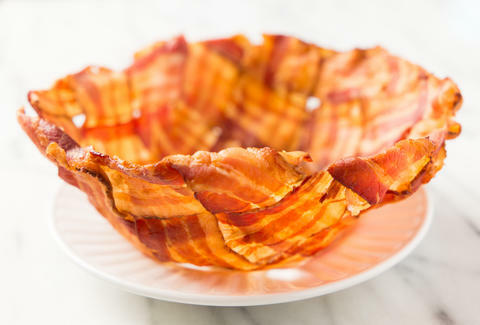 To make one that could stand up to our appetites, we wove a pound of bacon into a quart-size mega bacon bowl that can hold up to four cups of whatever you want. Even if it's four cups of bacon. Preheat the oven to 400℉. 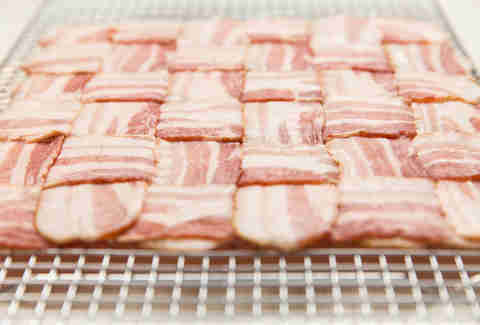 Make a bacon weave on a wire rack using about 12 strips of high-quality bacon. Wrap a 1-quart size glass bowl in aluminum foil. 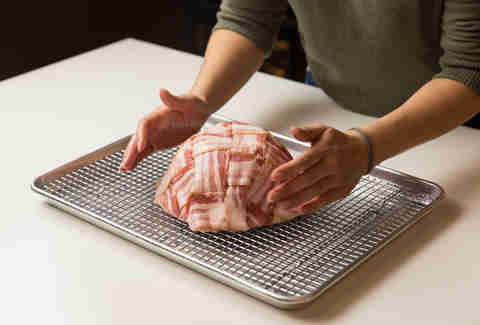 Place it upright in the center of the bacon weave. Place a baking sheet upside down on top of the bowl. Grab firmly onto the sheet and the rack so that they hold the bowl in place, then quickly flip it over. 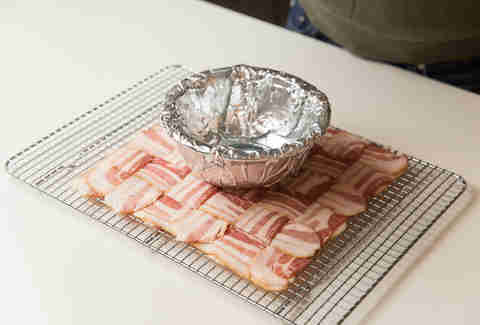 Tuck the edges of the bacon weave under the lip of the bowl. 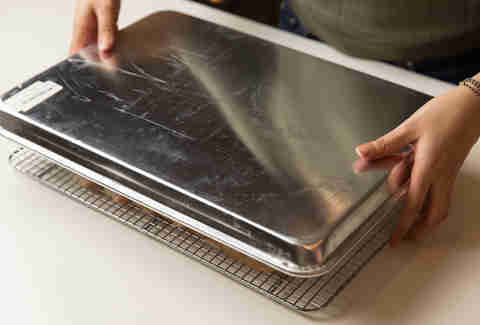 Transfer it back to the wire rack and place the rack on the baking sheet. Bake for 15 to 20 minutes, until crispy. Let the bowl cool on the rack for 15 minutes. Flip the bowl over and trim off the uneven edges with kitchen shears. 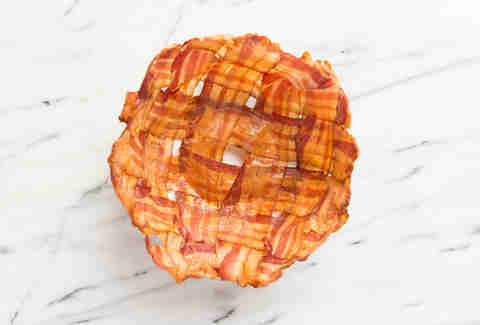 Remove the glass bowl, and all that's left is a beautiful bacon bowl filled with endless possibilities. 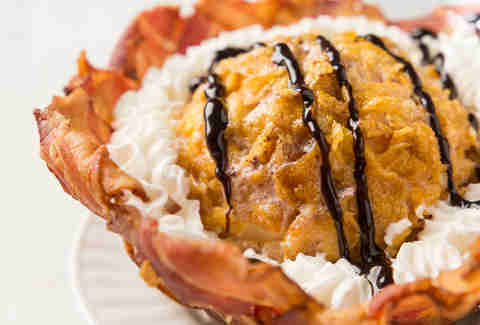 We filled ours with fried ice cream, but remember: just filling it with bacon could never be a bad idea.